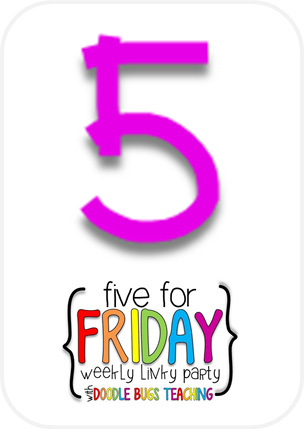 I am up suuuper late (it's 4 A.M.) so this is pretty much Five for Fraturday but I haven't technically slept yet so Five for Friday it is! 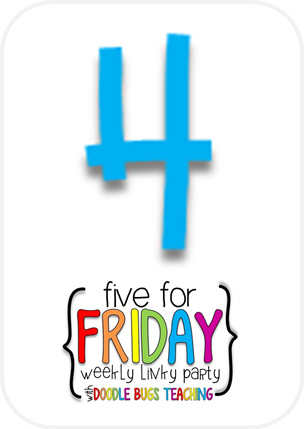 :) I remembered pretty late! I'm linking up with Doodle Bugs Teaching as usual! Any other night owls out there?? So I made a bunch of different ones. 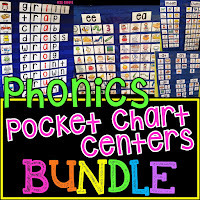 You can find the bundle here on TpT. I am obsessed with them because they are NO PREP. Literally. You just print them and hand them to your kids.. THEY write, color, cut, and glue. Instant bulletin board.. or just for fun! 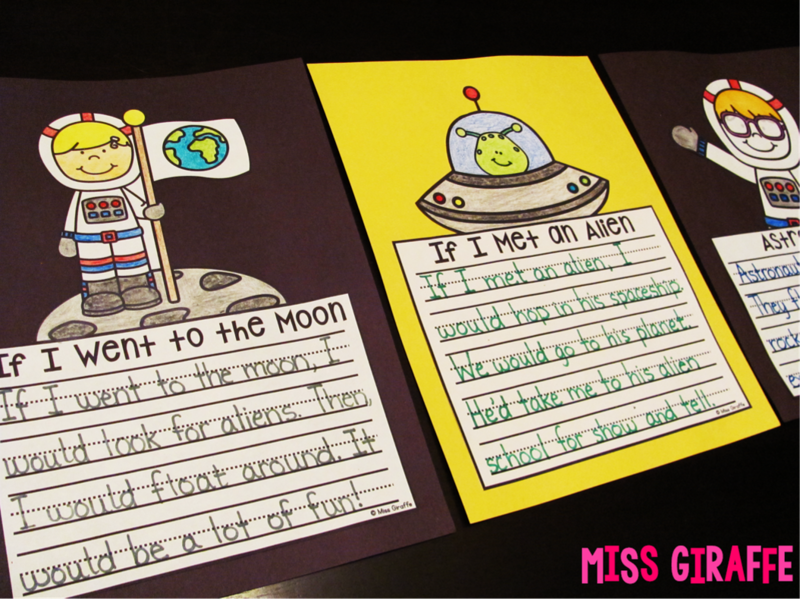 You can read about them and see some of the other ones on my most recent blog post: Writing Crafts that are no prep... Seriously! I have them for pretty much every topic & every type of writing (narrative, how to, opinion, mystery, etc.) because I refuse to ever again cut out (and make poor Mr. Giraffe cut out) 48 monster ears, 48 monster eyes, etc. 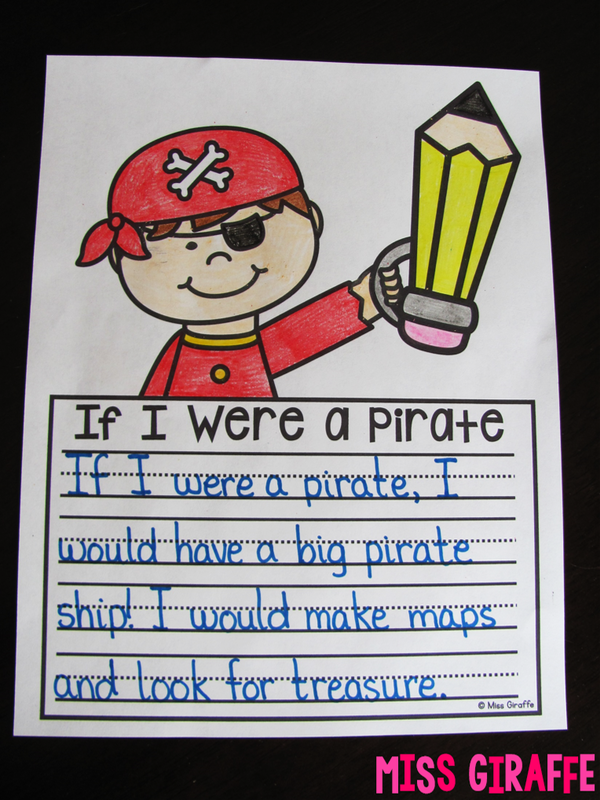 to do one little craft ;) Okay maybe not but it's definitely nice to just be able to grab a craft for any topic that doesn't take any time to prep and hardly any time to do. 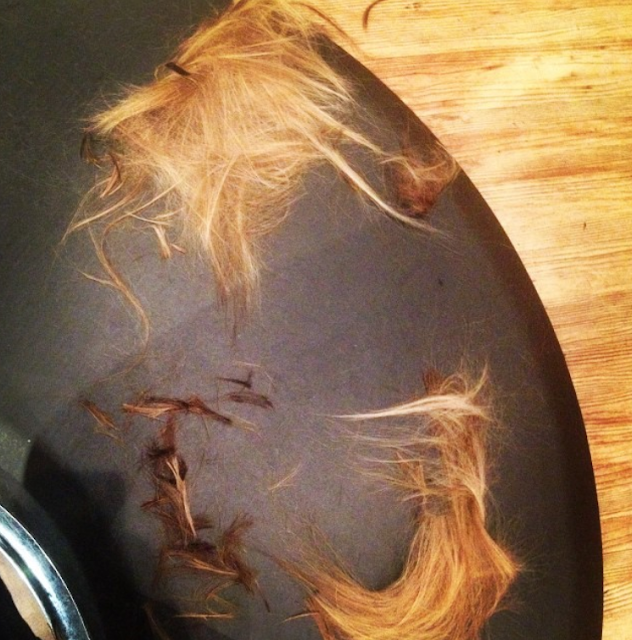 I got A LOT of hair chopped off this week. A lot a lot! It feels really nice to get all that weight off, especially now that it's summer. Long overdue! For the puzzles, students read the small passage and then work to sequence the events in the story. 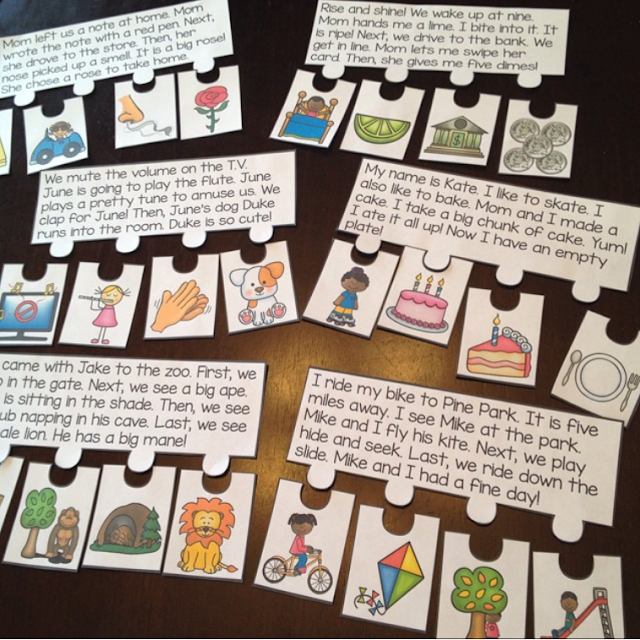 I love these because they present fluency in a fun puzzle-y way (there I go with that puzzle-y word again :)) and students have to understand what they're reading in order to do the puzzle. 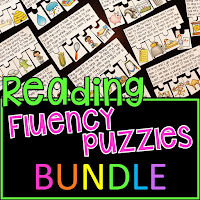 and more so I made a big Reading Fluency Passages Puzzles Bundle too! 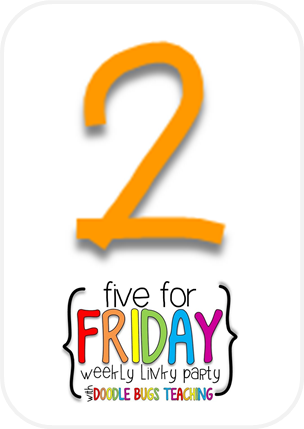 This week has been all about 2 digit addition and subtraction (without regrouping)! Here's one of the fun centers from this week - Just Sum Monkeyin' Around! 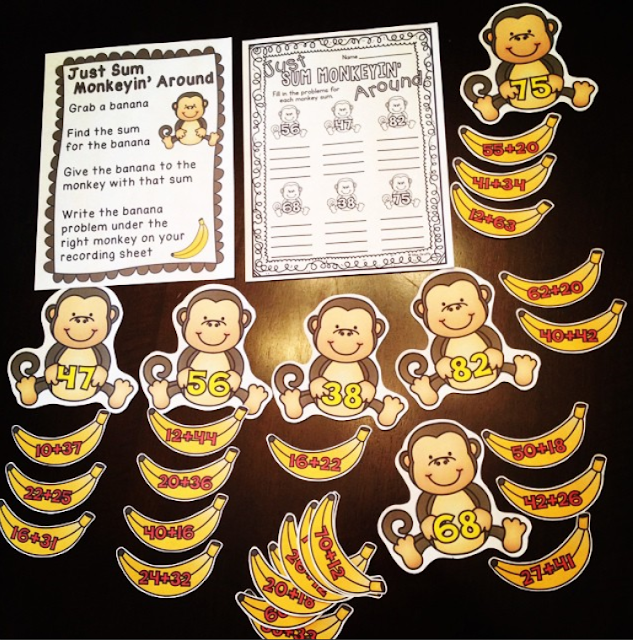 Basically you have monkey mats with sums on them and you give the right banana to the right monkey. Simple but fun! 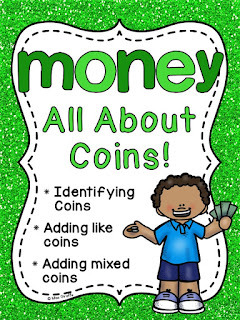 This is included in my First Grade Math Unit 13 if you want to grab it and a bunch of other differentiated worksheets and activities for 2 digit addition and subtraction concepts (also including 10 more 10 less, adding and subtracting multiples of 10, and adding and subtracting 2 digit and 1 digit numbers). Mother's Day was this week! I usually am not a fan of Mother's Day, although I've always wished my dad a Happy Mr. Mom's Day since like elementary school, but we got to spend Mother's Day with Mr. Giraffe's mom and have her over for dinner so that was really nice! We tried to take her out but she didn't want to fight the crowds so we cooked for her instead. We grilled up some chicken and steak kabobs and it was really nice weather so we got to eat outside by the pool so it was fun! When I say we grilled, I mean Mr. Giraffe grilled. 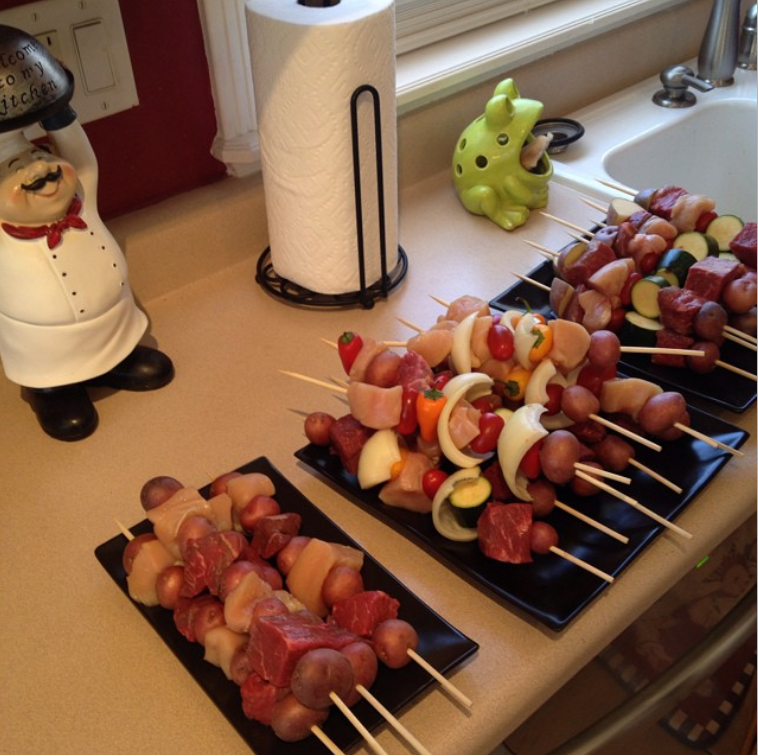 He was cute and made different kinds of kabobs to suit the different tastes. You can see the middle ones have peppers and onions for Mr. Giraffe and I because we eat peppers and onions on our peppers and onions :) Then, the left is meat and potatoes only for his meat-and-potatoes dad and then the right is mostly veggies for his mom. Super yummy! It's crazy it's May already, isn't it?? 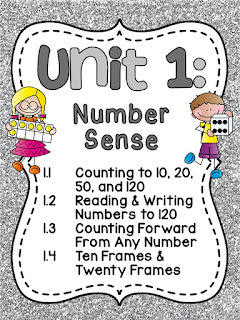 Follow me on Pinterest for more teaching ideas! 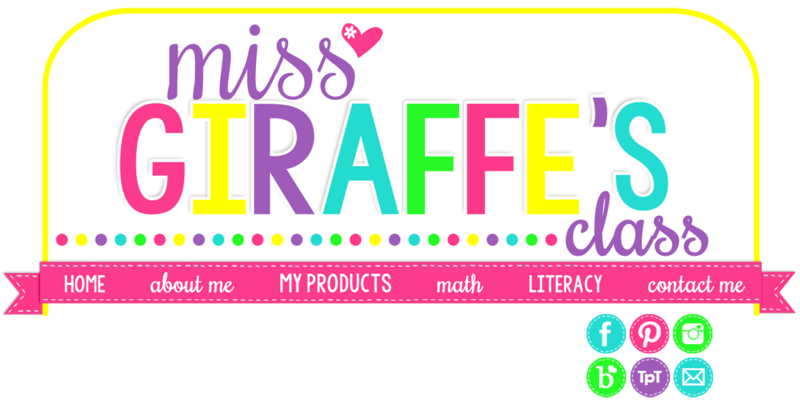 Don't forget to join Miss Giraffe's Class so you never miss out on fun ideas and exclusive free stuff from me only for subscribers! 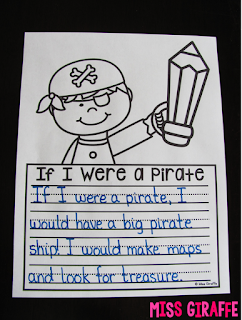 I feel like every time I look at any first grade or kindergarten blog or website, I see super cute writing crafts that they did with their students and just think.. where in the world do they find the time?! The time to prep it OR the time in the school day to actually do the craft. 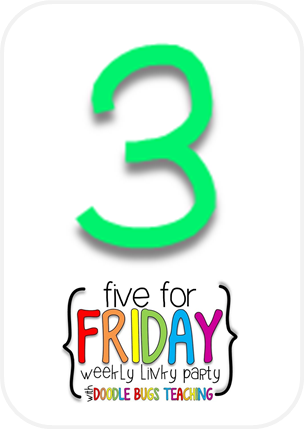 I am amazed by them and maybe there's some super secret trick for how to do writing crafts quickly and without hours of prep beforehand but if there is, I sure don't know it! 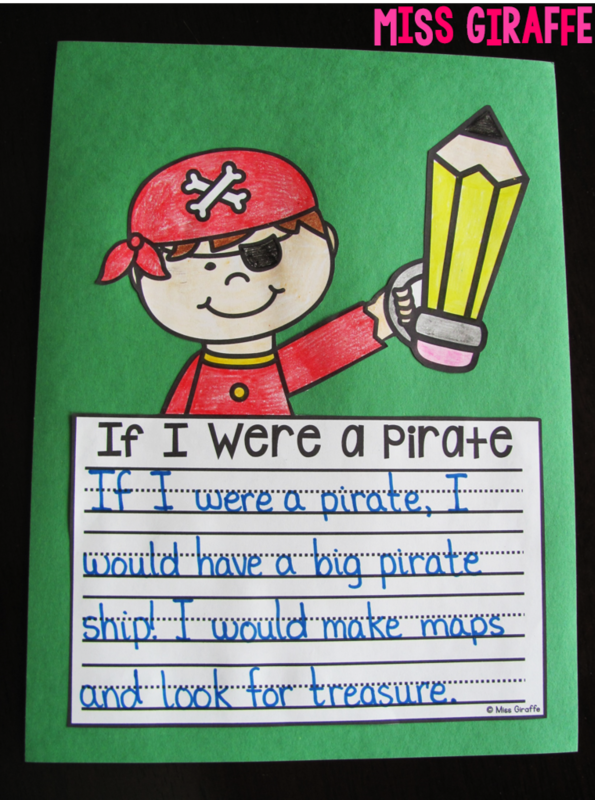 SO I bring to you... NO PREP Writing Crafts! They are just about my favorite thing ever! All you have to do is print. Seriously. No more cutting out 24 green ears and 48 yellow eyes or whatever for a craft! 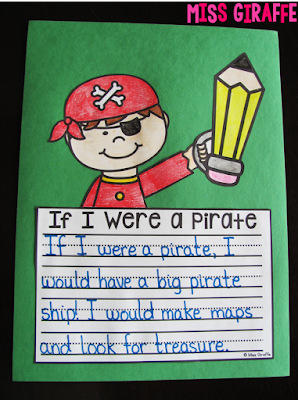 Students do the writing and coloring so they turn out super unique and cute. 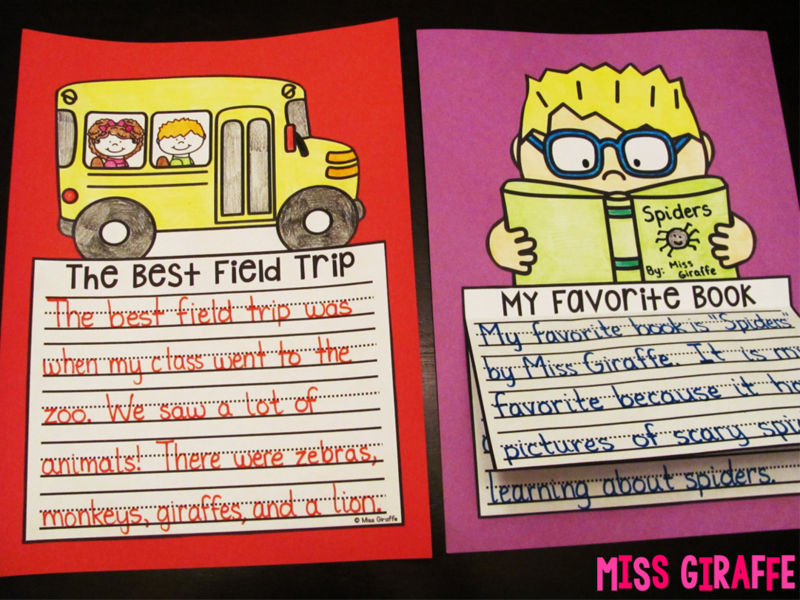 They make a GREAT colorful bulletin board! As you can see, they are much quicker to make than typical crafts which is another thing I love about them. With everything you have to fit in a day, the fun stuff can easily get tossed out. I make each prompt in 3 different levels: 4 lines, 5 lines, and 6 lines. All of the examples pictured (except for "If I Met an Alien" and "The Best Field Trip") are the easiest version with 4 lines. As the writing page levels get harder, the picture takes up less space on the page while the lines take up more. 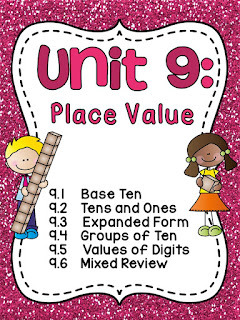 There are "EXTRA" pages included for all 3 levels so students can add pages so they can write as much as they want no matter what level you give :) That way you can pick the writing level of your class (or individual students) to make it the perfect fit! 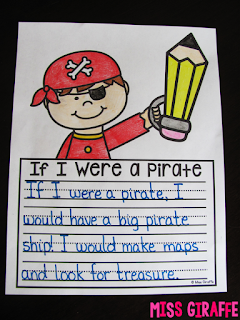 To add an extra page or pages, students just continue their writing on the extra pages. Then, they cut them out and glue them underneath the page connected to the picture. See the empty white space at the top on the extra pages? Have them run their glue stick across that and press it to the back side of their craft. 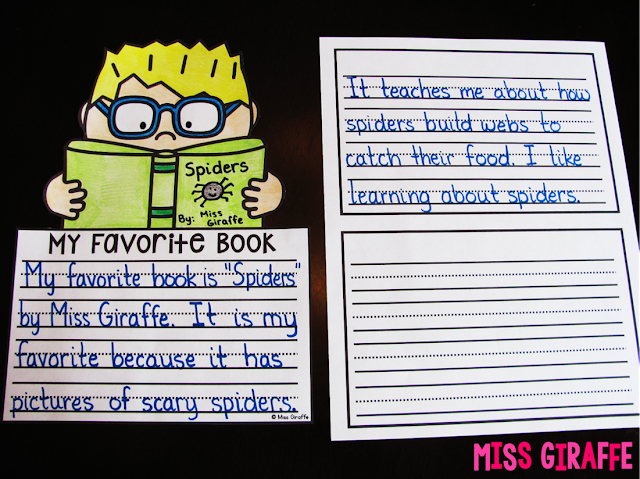 Above is my cheesy example with the little spider I drew on the cover :) This is an example for opinion writing where students describe their favorite book. I think it's also fun to have them draw the title, author, and a picture for the cover like I did above to personalize it more (I meant to underline Spiders but put it in quotations instead - please ignore that :)) but that's up to you! 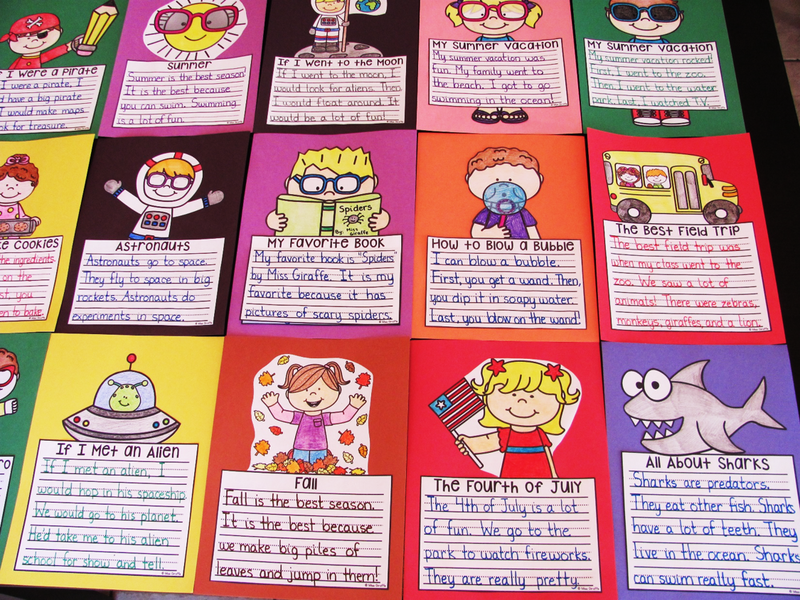 I have these for all different types of writing and topics! 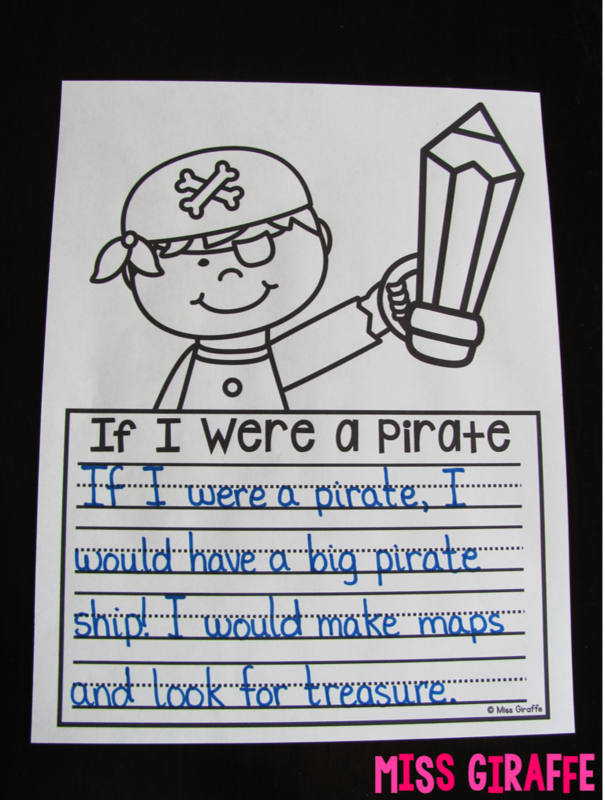 For more opinion writing, you could take multiple topics and have students justify which is better. You could do it with the animal prompts, sports prompts, etc. 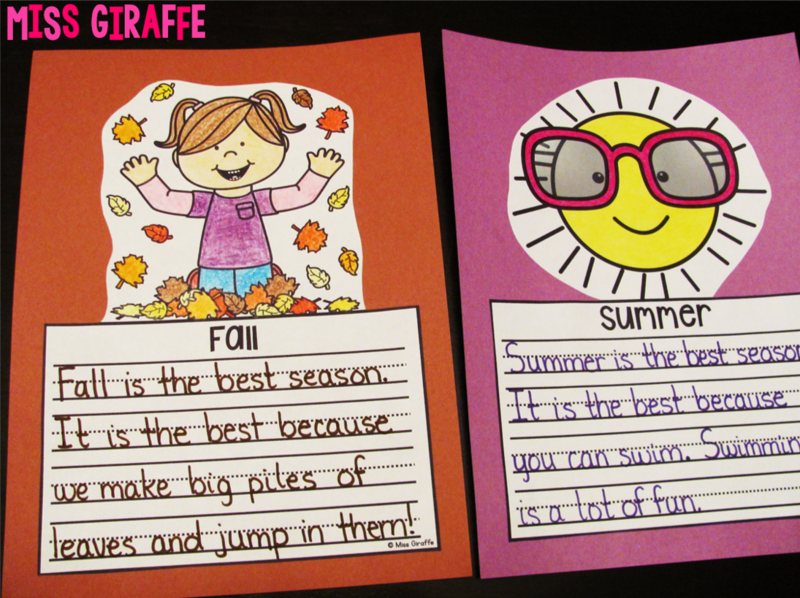 For example, let your students pick either the Fall, Summer, Winter, or Spring craft and write about which is the best season and why like below. It makes a great display! You could also use these during each season to describe the season. 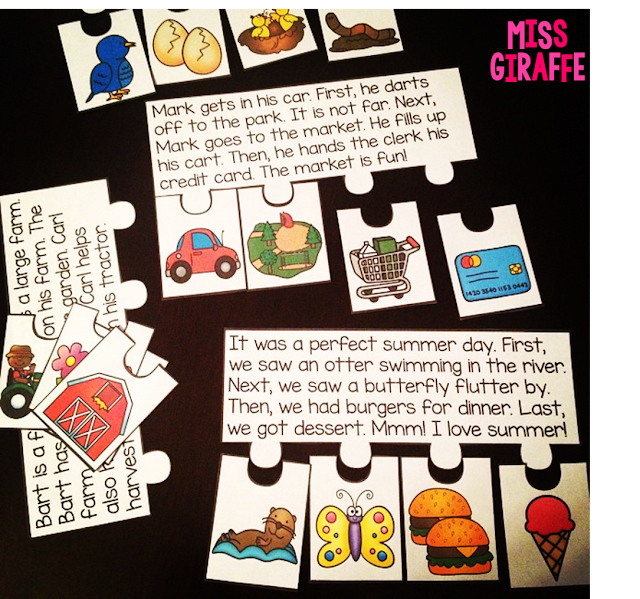 Most of the pictures are pretty easy to cut out but for pictures that have detailed edges, you just teach your students to cut around the edges like the above pictures. If you think they might have any trouble doing that, just draw a line around the picture where you want them to cut before you run them through the copy machine. 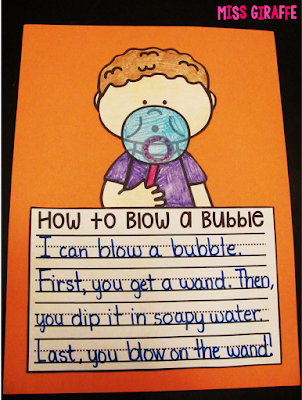 Do you have to teach How To writing? 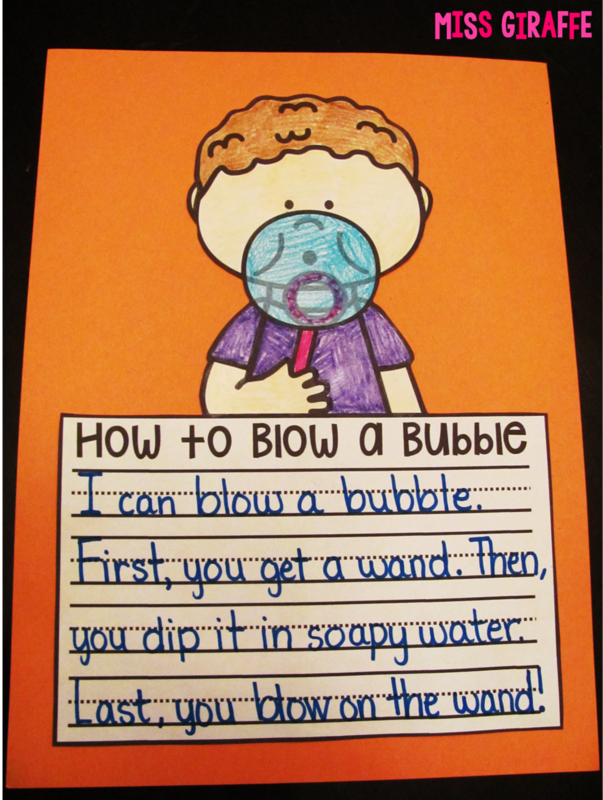 Make it fun with a craft! 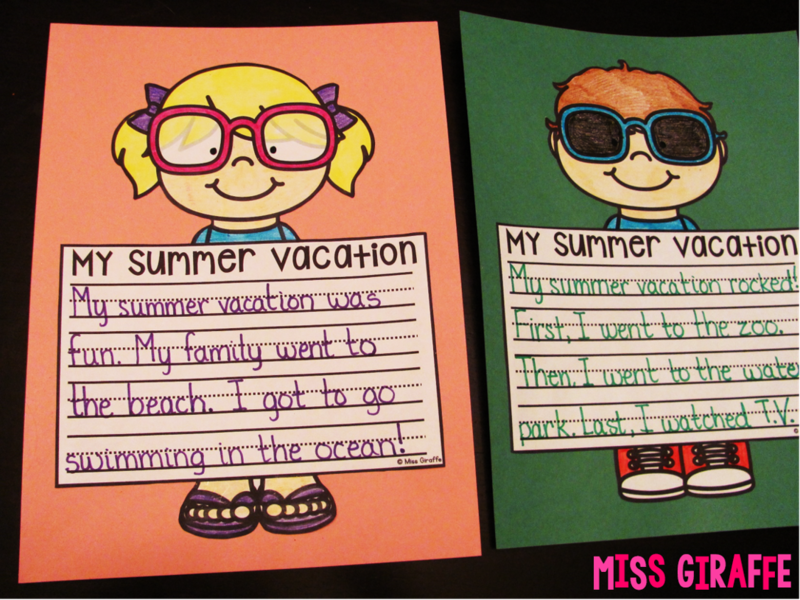 To make a cute bulletin board display, print the boy version for your boys and the girl version for your girls so they can each color it to look like themselves. 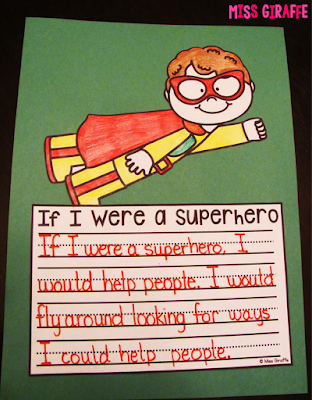 Then, let them pick the color construction paper they want to make a really colorful display! 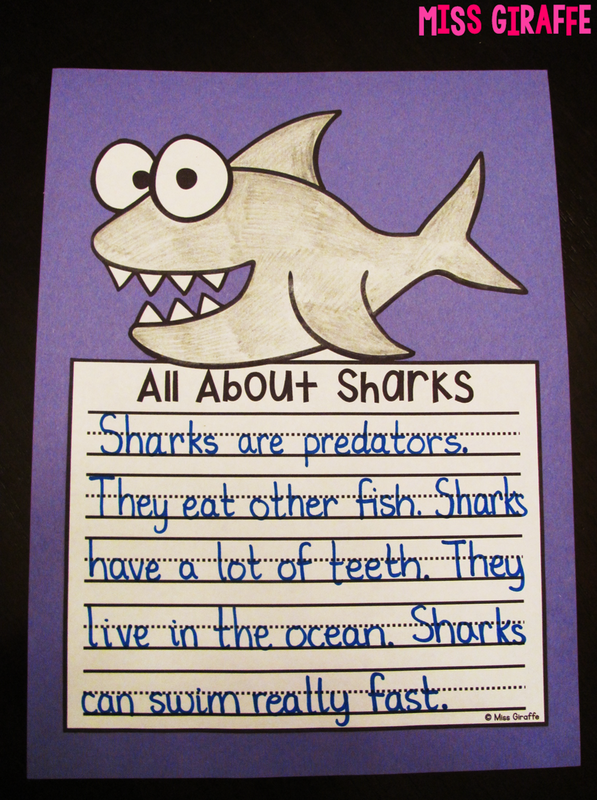 They're also great for non-fiction writing for science or social studies. 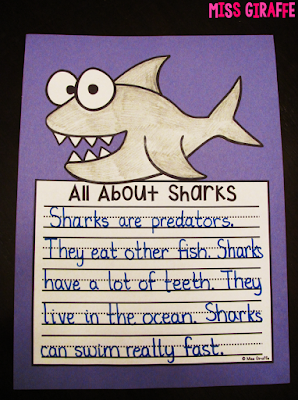 For example, after you learn about sharks, have students do the shark writing craft to demonstrate their learning. 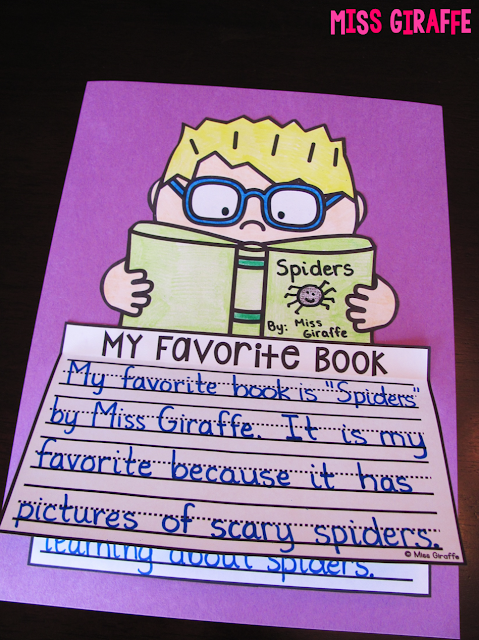 Don't forget you can have students add extra pages or do the longer writing pages to make it more rigorous. I am working on making them for all of the holidays :) I also try to make a boy version and girl version when possible. 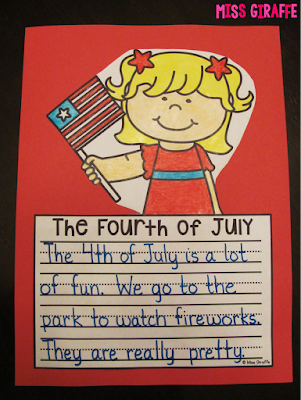 This is the girl version of the 4th of July. I actually included 2 different girl options and 2 different boy options for this particular activity - this is one of each. 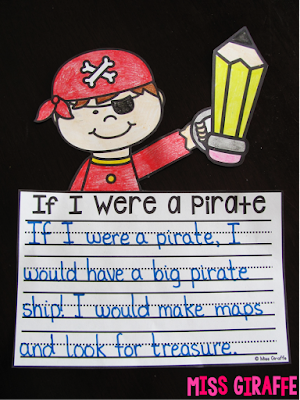 grab them ALL in my NO PREP Writing Crafts BUNDLE! I also have a lot of the crafts available in smaller packs you can see HERE. All of those are available in the bundle and there are some crafts you can only exclusively get in the bundle so I do recommend the bundle if you love these! Thanks for listening to me ramble about my writing crafts. 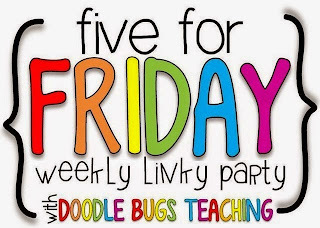 I'm really excited about offering a way for teachers to have awesome bulletin boards and students to do awesome learning crafts without all the hours of prep and I-lost-one-of-my-ear-pieces drama :) I hope everyone is having a wonderful week!